"And it came to pass at noon, that Elijah mocked them, and said, Cry aloud: for he is a god; either he is talking, or he is pursuing, or he is in a journey, or peradventure he sleepeth, and must be awaked. And they cried aloud, and cut themselves after their manner with knives and lancets, till the blood gushed out upon them." Why would the Muslim's cut themselves like the Baal worshipers of Elijah's day? And even like the demon possessed man in Mark 5? It is rather apparent really. They are all following the same false god who is no god at all, but rather the Beast from abyss- the Devil. - W.E. For everyone who thinks Islam is “just another religion”, and that “Allah is simply another name for God”, let this serve as your much-needed wake up call. Islam is not a religion at all, it is an ideology designed to enslave and control the congregant by bloody, violent means. IMPORTANT WARNING: The Ahsura video is very graphic. I could not stand to watch it all the way through but for those of you with strong stomachs you need to see how demonic Islam truly is. There will be no doubts in your mind after this. The word Ashura means 10, and the holiday is the tenth day of Muharram, the first month of the Islamic calendar. 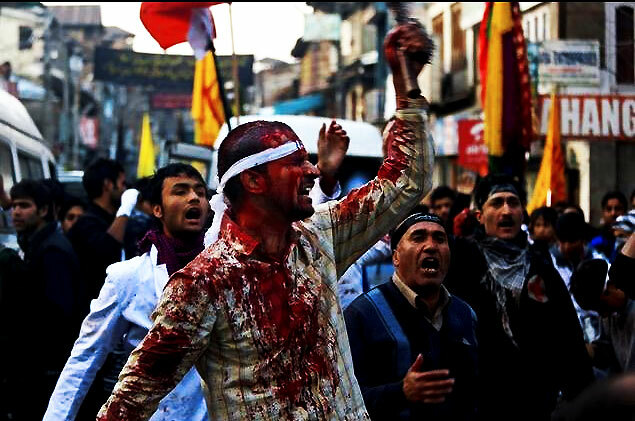 Like everything else associated with Islam, it is violent, bloody and repulsive to observe. 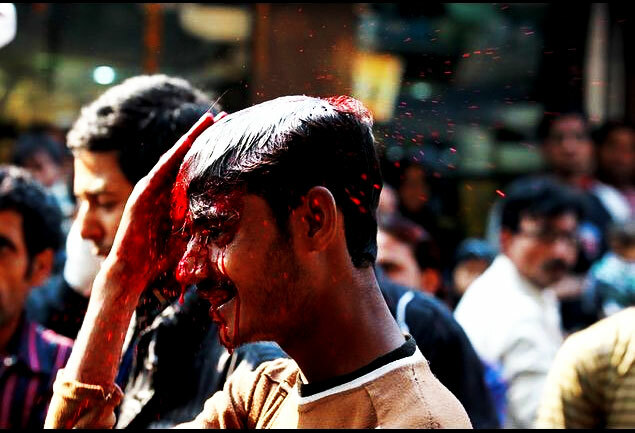 Muslims celebrate the day by fasting, flash mob rioting and cutting themselves – self flagellation – until they soaked in their own blood. The bible, in the passage quoted above, associates cutting yourself with demon possession. Looking at these photos will definitely drive that point home. “Just another religion”, you say? Islam is a “religion of peace”? You must be insane. One of the main differences between Islam and Christianity is that Christians are redeemed by God’s shed blood on the cross. But Muslims attempt to self-atone with their own blood which can never take away sin, which is why without Jesus Christ, they have no hope of Heaven.